This new guide is part of a series on how hospitals can address the social determinants of health. Learn more. Provides guidance and information to help hospitals address the opioid crisis. Learn more. HRET highlights successful hospital-community partnerships from across the U.S. Learn more. 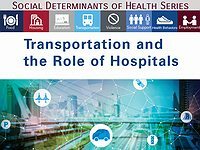 Housing and the Role of Hospitals is the latest guide in the social determinants of health series from the AHA, HRET and ACHI. Learn more. HRET developed a playbook to help foster hospital-community partnerships. Learn more. AHA and HRET address the determinants of health to improve community health. Learn more. The program allows hospital leaders to learn new tools and make valuable connections. Applications for the next fellowship class are due February 15th. More than 100 Illinois hospitals are featured on the site. Read about their performance excellence. New resources are added regularly. This compendium provides a variety of resources on patient and family engagement. These webinars highlight leading strategies and innovations by hospitals and health systems. All webinars are free but require advance registration. Enter some keywords below to search our archives.